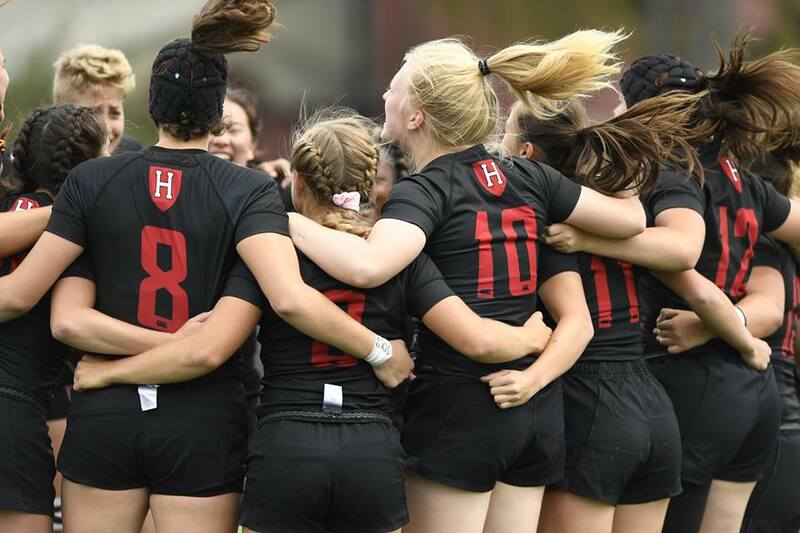 Harvard Women' Rugby jumps for joy after securing the Ivy League Championship ove Dartmouth by a score of 12-3. 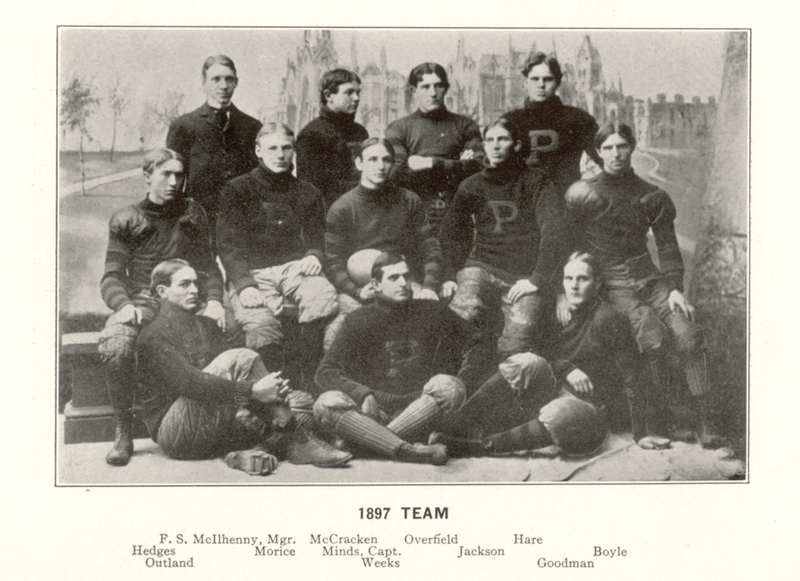 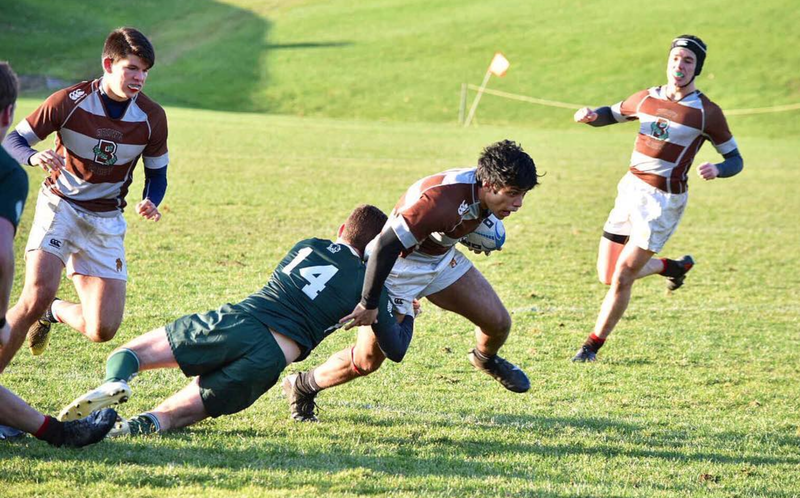 Providence, Rhode Island -- The Brown and Harvard rugby squads put on a heart stopping match with the Bears finally prevailing before a vocal partisan Brown Family Weekend crowd at the Brown Rugby Field. 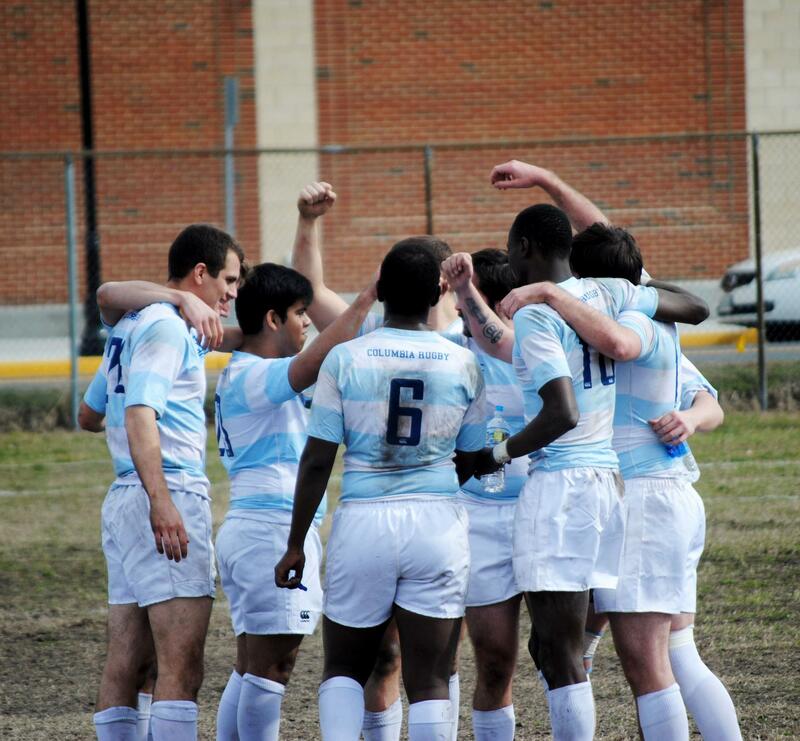 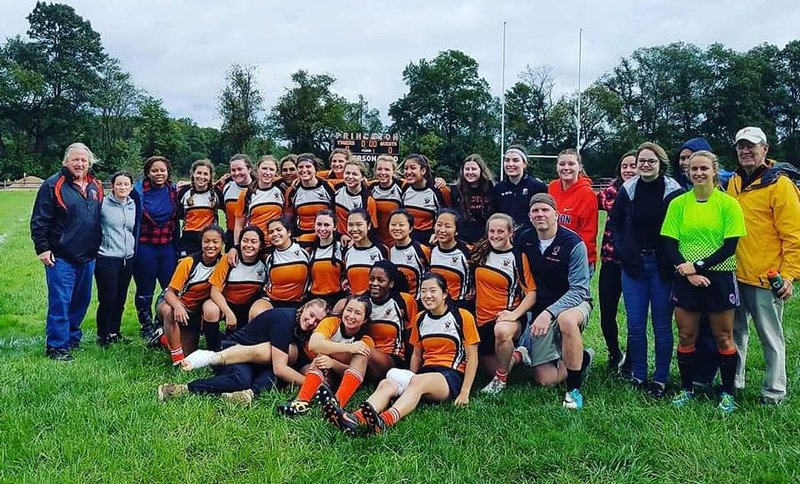 Both teams gave their all with Brown controlling most of the first half, but losing their way and the lead over 15 disastrous minutes of the second half before the final dagger from freshman scrum half Peter Smith gave Brown the last minute victory. 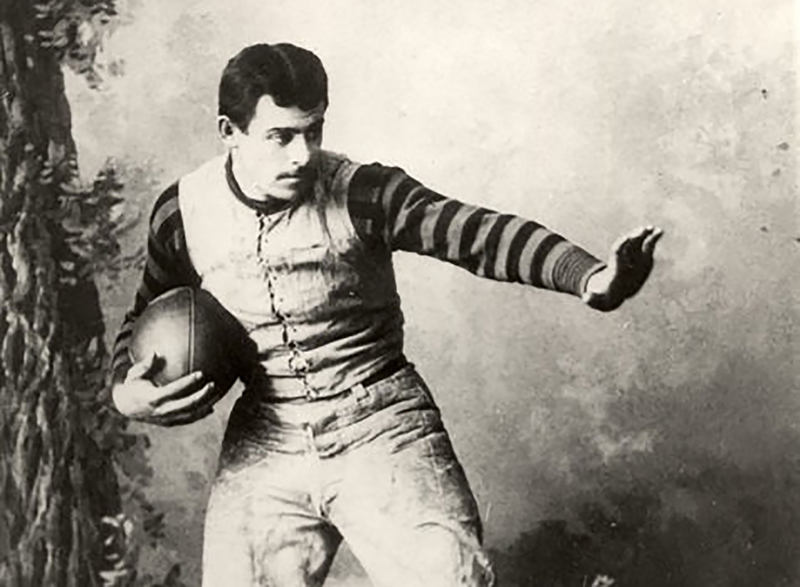 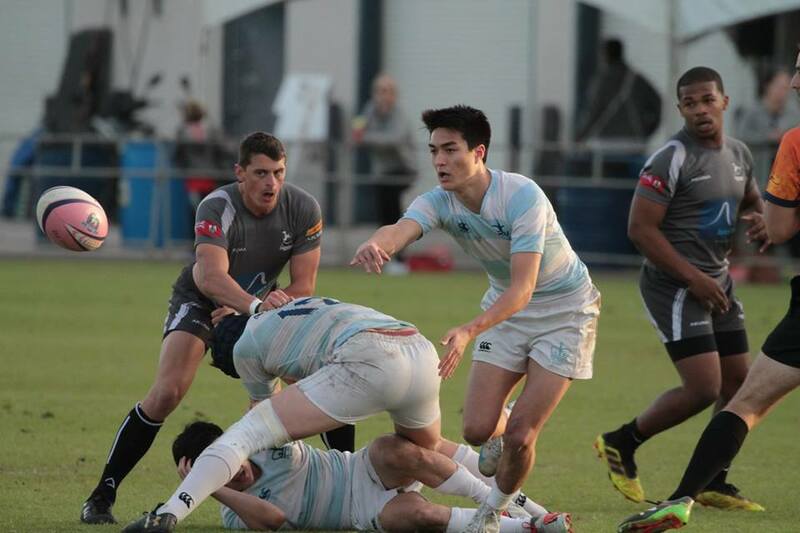 Brown kept the match close in the first half, scoring two tries. 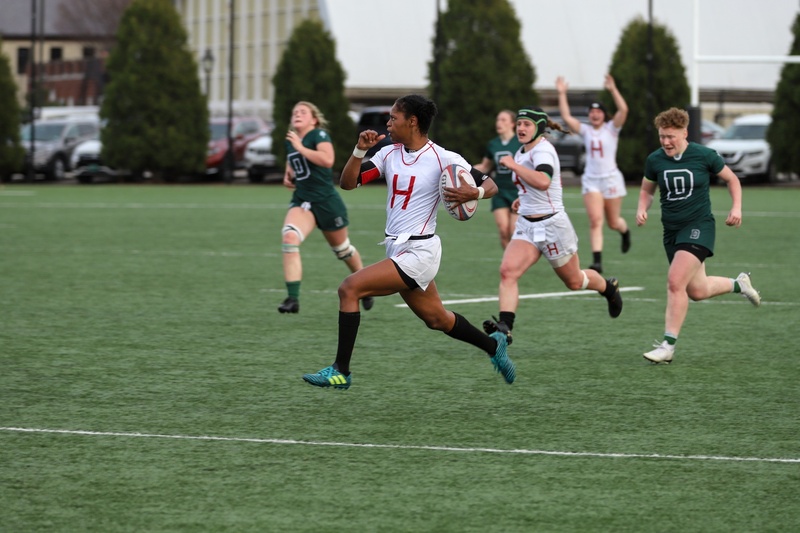 On a beautiful fall afternoon in Providence, Ithaca, Princeton and at Commisso Stadium, New York City teams battled to solidify their placement in the Ivy Rugby Conference standings.